Do your PADI or continue your adventure with Ceningan Divers, we can teach you from Zero to Hero! Ceningan Divers is the ideal choice to begin your diving adventure or continue your PADI education. As Nusa Ceningan’s Premier PADI 5* Dive Resort, we pride ourselves on providing you with safe, attentive, dedicated mentoring in small group setting following the highest PADI standards. We run our course over extended period of time to ensure you get the support you need to become a proficient diver. Our instructors are certified, renewed PADI Instructors. We can support you in Bahasa Indonesian, English, French, German, Italian, and Spanish. 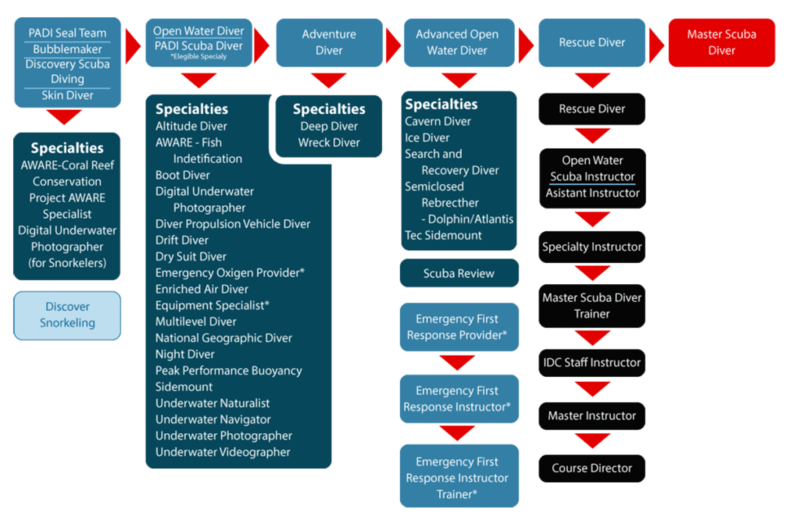 All of our courses include a full set of Aqua Lung gear and Suunto dive computer rental. As part of our conservation initiative, each student receive a digital copy of the course manual. You can log onto the PADI website anytime to access your digital manual. During your course, we will provide you with a library book. If you would like to give yourself a head start or you are pressed for time, we recommend that you sign up for PADI’s eLearning. Ceningan Divers takes ocean protection to heart, we are a Green Fins Operator and a 100% AWARE Partner. We support a clean, healthy ocean by making a donation on behalf of each of our students to Project AWARE. When you take a PADI course with Ceningan Divers, you will receive the Project AWARE version of your PADI certification card and be part of a movement of divers protecting our ocean planet. Sign up for your PADI Scuba Diving Course today. Soon you will be blowing your first bubbles underwater safely with one of our instructors at Ceningan Divers, PADI 5 Star Dive Resort.